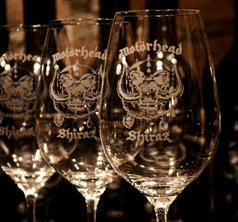 Three beautiful Motorhead Shiraz wine glasses with engraved logos in a luxurious box! A beautiful Motorhead whiskey karaff with engraved logo in a luxurious box! Six beautiful Motorhead whiskey glasses with engraved logos in a luxurious box! Six beautiful Motorhead shots glasses with engraved logos in a luxurious box! Six beautiful Motorhead beer glasses with engraved logos in a luxurious box! 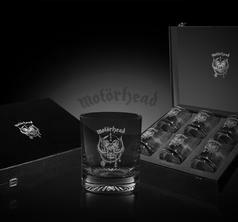 Six beautiful Motorhead drink (grogg) glasses with engraved logos in a luxurious box! Three beautiful Motorhead wine glasses with engraved logos in a luxurious box! Two beautiful Motorhead beer glasses with engraved logos in a luxurious box! Two beautiful Motorhead drink (grogg) glasses with engraved logos in a luxurious box!